This 18,000 s.f. 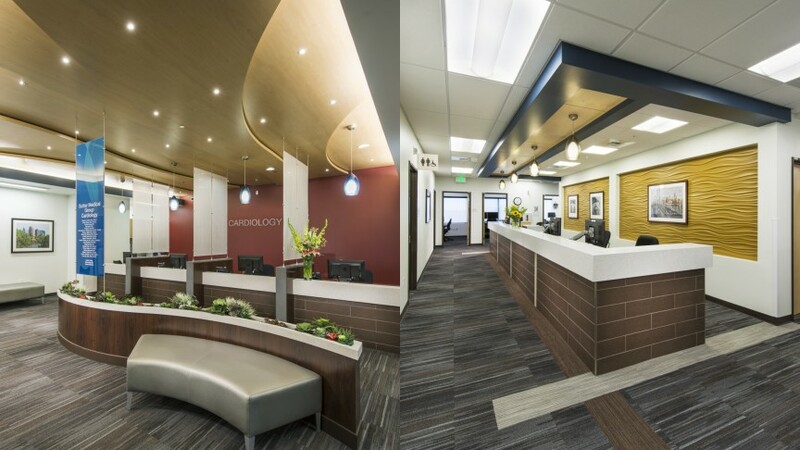 project focused on bringing a sophisticated, mature feel to the space to serve the clinic’s primarily male clientele. Rich reds, blues, and golds were incorporated into the design, creating a clean and upscale ambiance. As many of the patients visiting the clinic have acute conditions, a key component of the design was to minimize the number of steps a patient would need to move through the space. 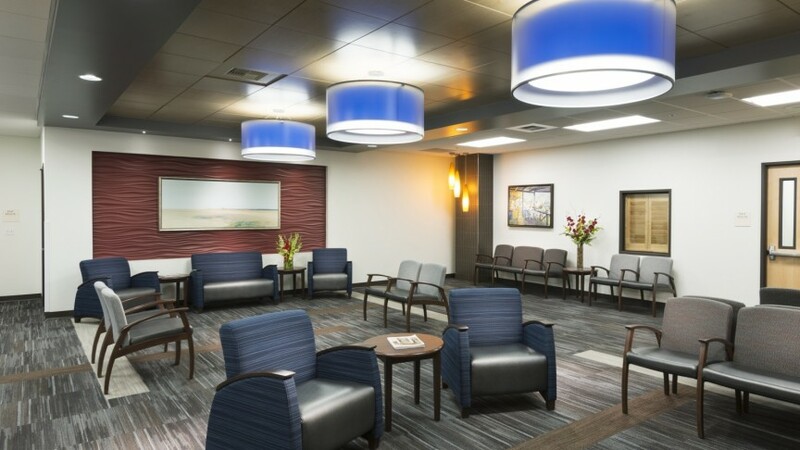 The elevator opens directly into the reception area, making check-in comfortable and easy, while the adjacent waiting area minimizes unnecessary steps. 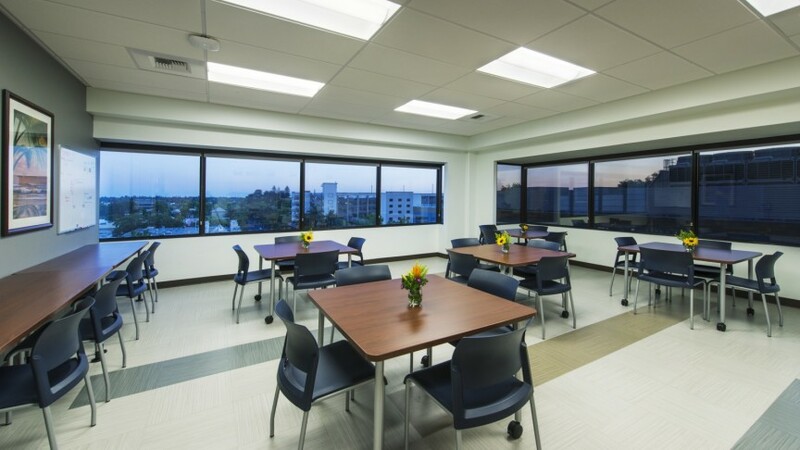 Smaller clinical pods were incorporated into the design to make the space feel more comfortable, homey, and intimate.